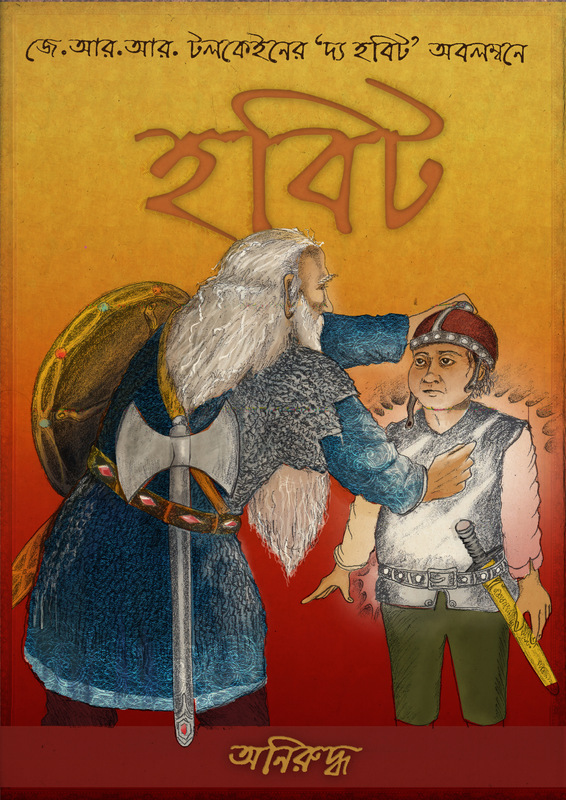 ‘Hobbit’ is an illustrated Bengali book written in lucid style by Aniruddha, telling the captivating tale of Bilbo Baggins, a plain village ‘hobbit’, in bengali for the first time. It is a translation of J.R.R. Tolkien’s The Hobbit, published in 1937 in England, one of the best loved books of all time, an enchanting prelude to Tolkien’s saga The Lord of the Rings, and translated in more than 50 languages worldwide. The bengali reader is taken through the range and beauty and historical depth of Tolkien’s ‘Middle Earth’ creation : 35 charming illustrations and Bengali maps are the artwork of Santi Prasad Chatterjee. 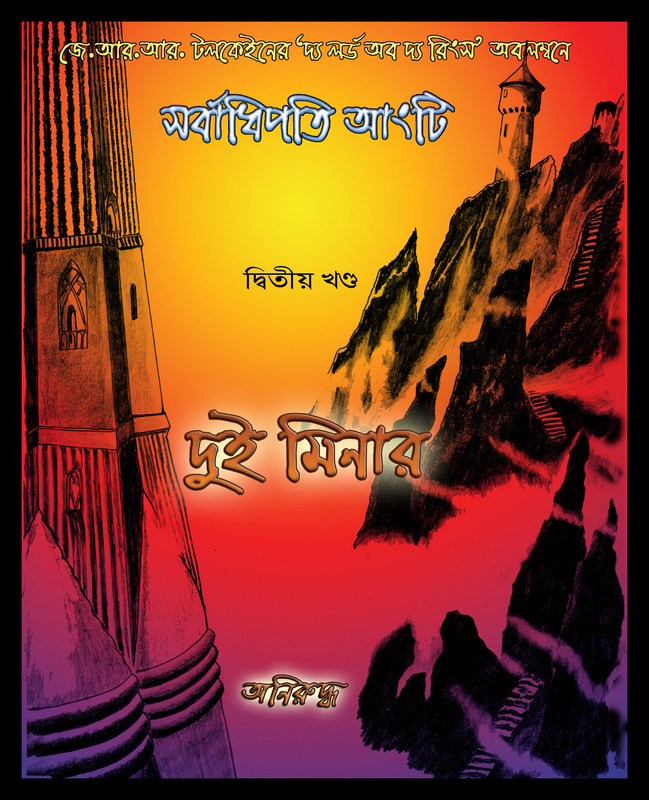 Buy Hobbit in Bengali here! ANGTIR MOITREESANGHA is an illustrated Bengali book written by Aniruddha, with 49 wonderful illustrations and maps by Santi Chatterjee. The book is a translation of J.R.R. 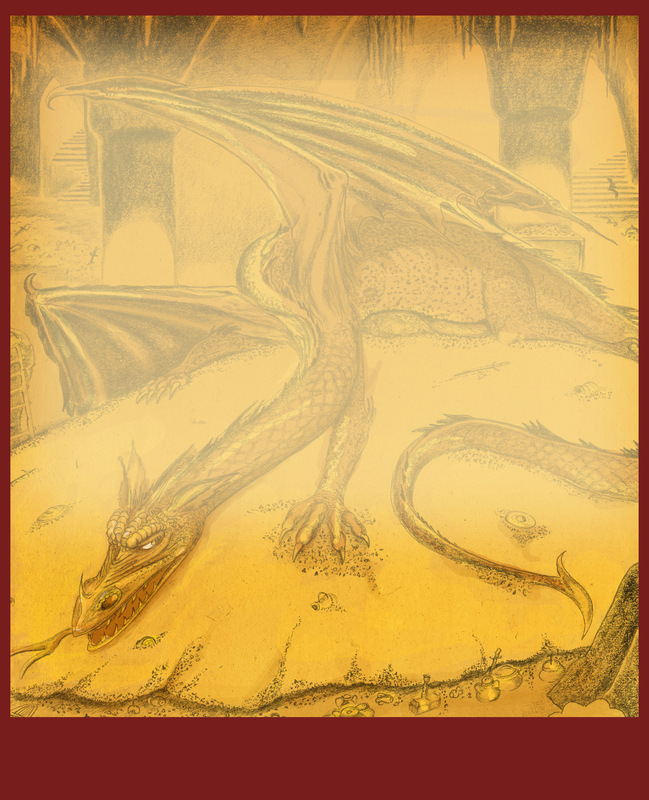 Tolkien’s The Fellowship of the Ring, the first volume of his epic The Lord of the Rings. The Evil Lord Sauron has drawn to himself all the Rings of Power by which he can rule the world; all he needs to fulfill his plan is the Ruling Ring he lost, which has fallen into the hands of the hobbit Frodo Baggins, who now faces an impossible task : to find a way to destroy the Ring. 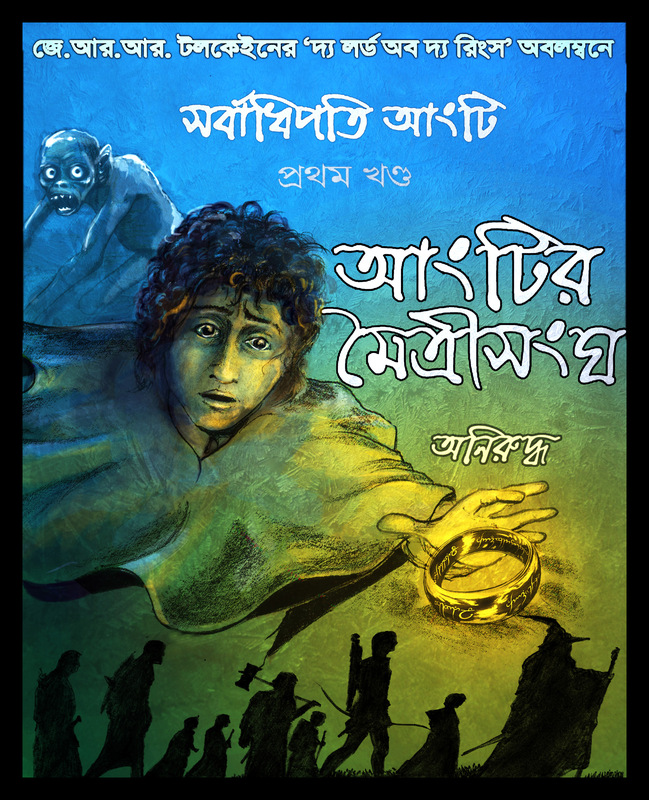 Buy the Angtir Moitreesangha - Fellowship of the Ring in Bengali here! 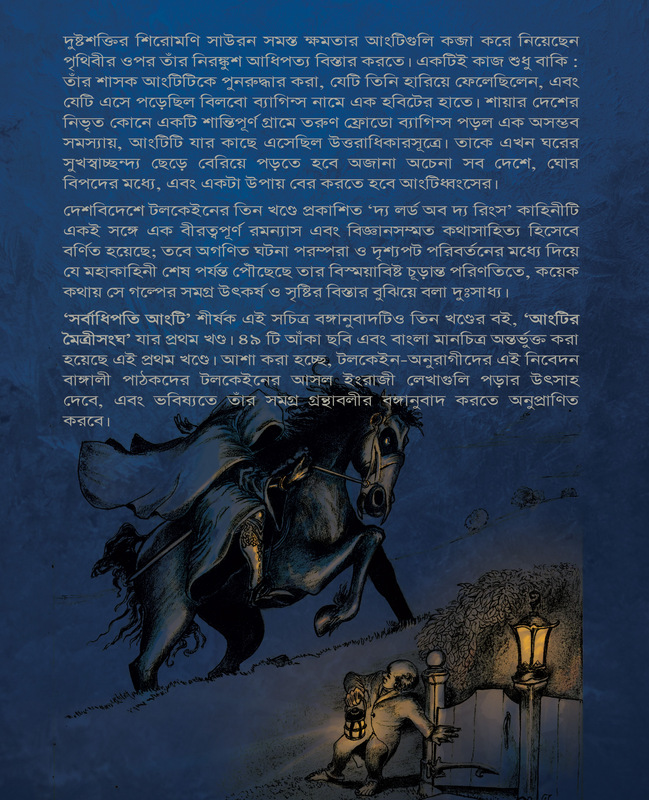 DUI MINAR is an illustrated Bengali book written by Aniruddha, with 41 marvelous drawings by Santi Chatterjee. It is a translation of The Two Towers, the second part of Tolkien’s epic The Lord of the Rings. 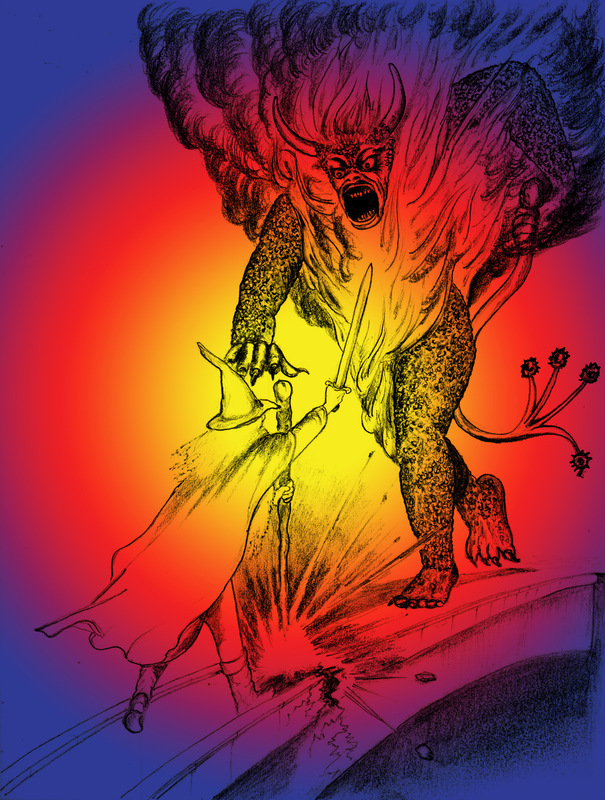 The wizard Gandalf was lost in battle with a fearsome demon. The brave, remorseful Boromir was killed. The Ringbearer Frodo made his escape towards Mordor with his loyal Samwise, but the rest of the Fellowship were beset with Orc attacks. Now the two hobbits alone must continue their quest to destroy Sauron’s Ring – alone, save for the mysterious creeping figure that follows wherever they go. Buy Dui Minar - The Two Towers in Bengali here!